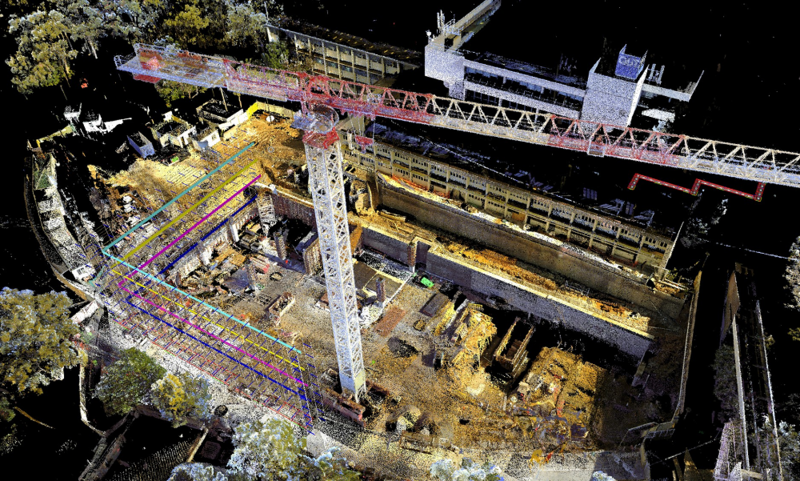 Scope: Acrow Formwork & Scaffolding engaged Holovision 3D to assist with the design and site layout of scaffold for constructions sites. 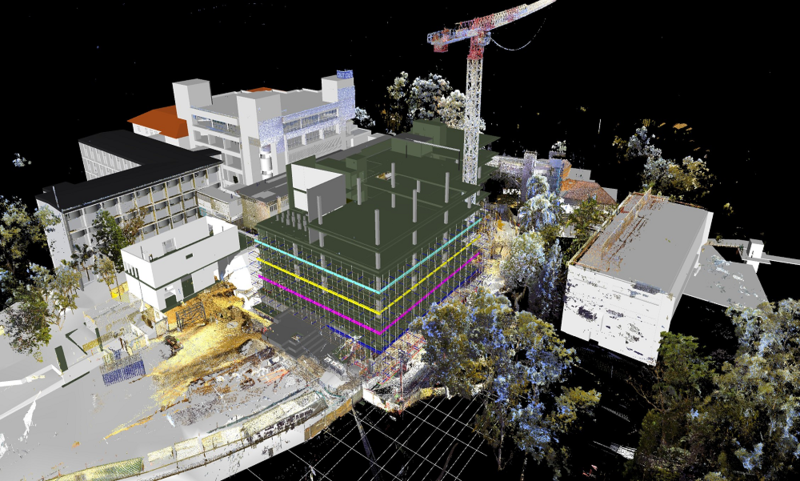 Using our 3D Laser Scanner we scanned the existing site and generated a 3D Point Cloud Model of the as-built environment. 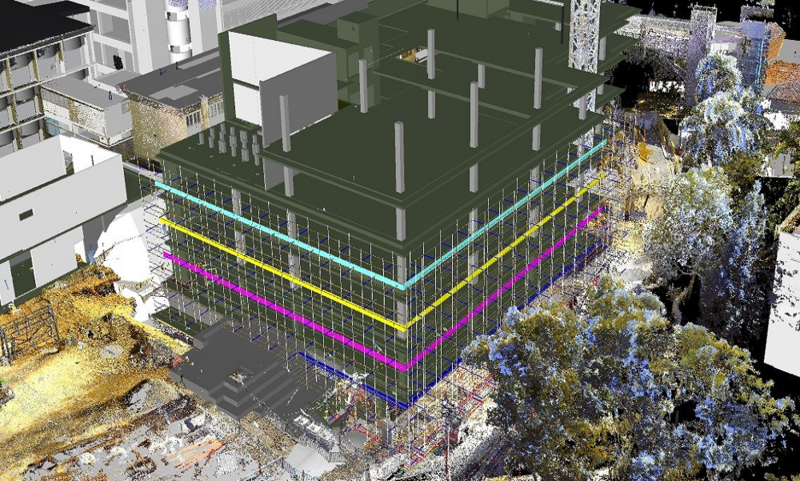 The design model could then be imported into the 3D Point Cloud to determine its positioning on site and identify any clashes between the scaffold & the existing environment, such as power lines and the tower crane. Once the model was approved, our Robotic Total Station was used for accurate site-layout in accordance with the design. This ensured technical scaffolds and false work supports were based out exactly prior to the structure, eliminating any rework.